In our last issue we described the introduction of Totem Acoustic's Sky monitor, a truly remarkable bookshelf loudspeaker. Now they have introduced the Sky Tower, the matching big brother to the Sky. 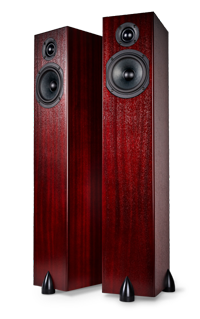 We find it amazing how much engaging sound emanates from these beautifully-crafted but quite compact towers.